Natural stone is an ecological material by nature. It “melts” in our environment, respects it, values it. Its use and exploitation do not release any form of pollution. 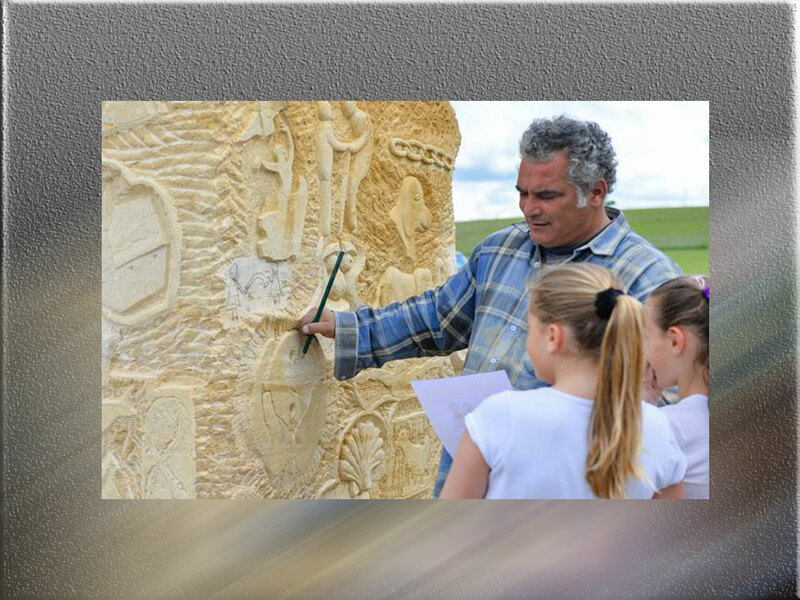 The project “Art2πR” aims to work the stone with children, teenagers and adults. It has already been created in a few cities in France, notably in 2015 at the green path district in Reims, and a ninth totem in Mardeuil, at Clos des Carrelles. 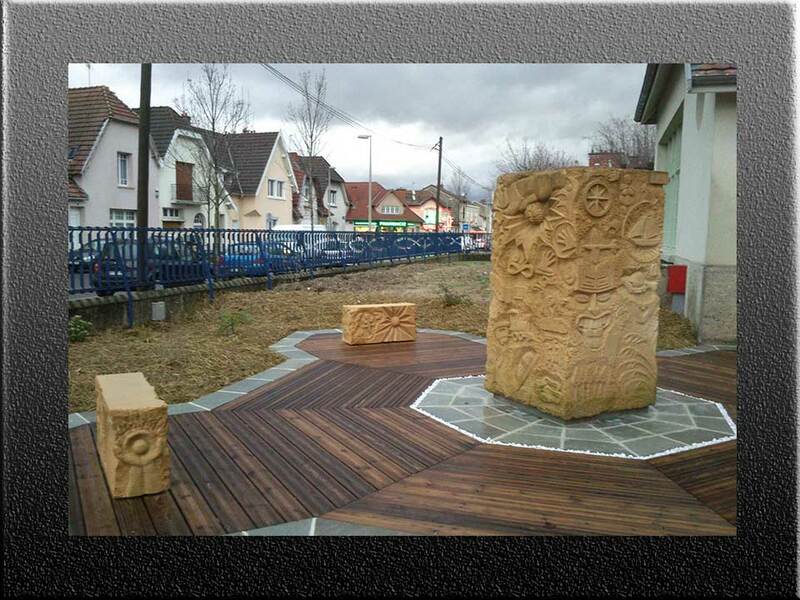 It involves setting up a block of stone 2 meters high and 7 tons, ideally at the entrance to the street Auban Moët, as a terminal that would announce the Social Center … In doing so, in addition to federate the inhabitants, the users and the partners social lodgers of the zone of influence of the Social Center around a project which is in the duration (15 days of realization for a durable material, the stone …), the project “Art 2 π R” will meet the objective of opening up the Social Center which will gain visibility, because of its location: be “at the top of the road after the big stone”. Yann has been traveling since his childhood. He grew up partly in a caravan and followed his father who used to work on construction sites, in public works. Born in Strasbourg in 1971, he spent his adolescent years in the district of Hautepierre. He left junior high school after 3 years, after the death of his father, and joined the Compagnons du Devoir in 1987 in Nantes. 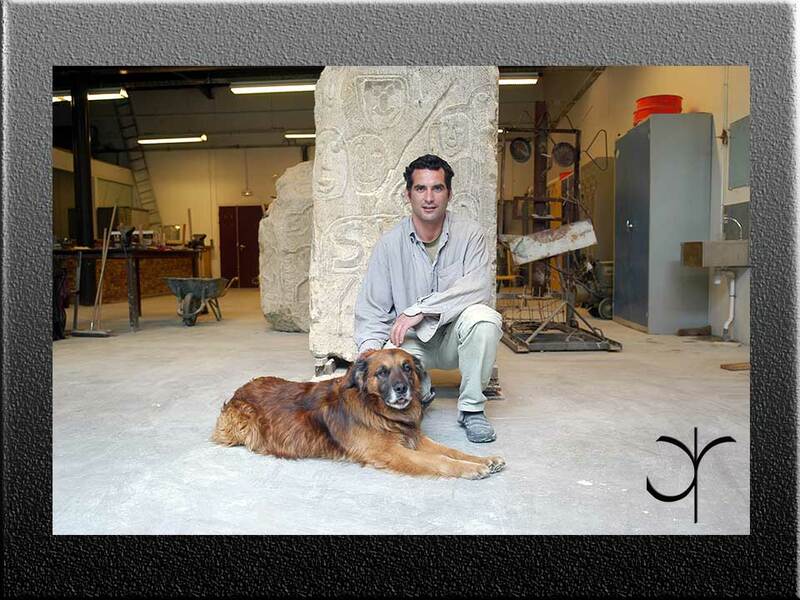 He did his training course in stonecutting, then began a trip around France. He became a Companion and, today, he’s sedentary in Reims. Sculpture is his passion since the age of 12 years. He did not commit himself to it until the year 2000. Self-taught, he devotes himself to the maximum. He paints, draws, writes too. Yann loves traveling, reading, dogs and wolves. Deeply humanistic, his life is dedicated to Art and the meeting of people. He likes to learn. He organizes sculpture workshops in the street. He also runs workshops at seminars with a coaching & management company. Giving the opportunity to every child, teenager, adult the opportunity to become an actor of his own cultural space, which means to create an object where they live and on the public space, in the sight of all. Natural stone is an ecological material by nature. It “melts” in our environment, respects it, values it. Its use and exploitation do not release any form of pollution. Its transformation therefore requires little energy and has little impact on the environment. The grid of the quarries makes it possible to limit as far as possible the distances of transport and thus the ecological footprint. Natural stone is reusable almost to infinity. Bring the inhabitants / users to consider their everyday environment from another angle, think differently through creation. Developing qualities of expression: learning a specific vocabulary, a subject and tools associated with gestures, with the gaze. Develop nonverbal expression skills. Play the game of cultural democratization by offering to the child, the teenager or the adult to discover the world of sculpture, arts. Reduce inequalities of access to art. 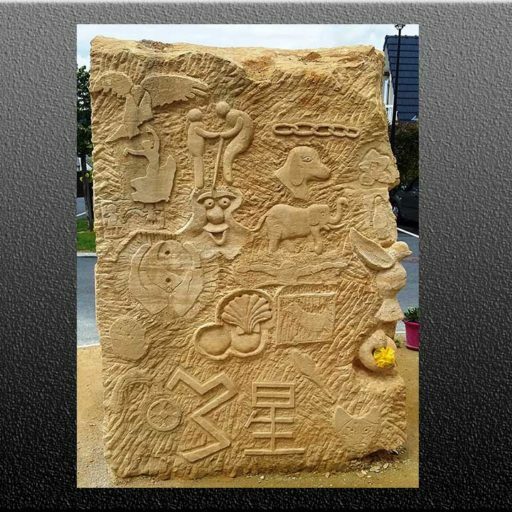 Join the Art2πR association to recover neglected urban space and promote culture and respect for the environment through a noble material generally called “Stone”. And if you thought space retrieved ? In between Design, construction and building, the Art2πR association is an asset, a humanist, social, ecological and economic lever for all types of projects. A real transmission lever for future generations, Art2πR is a major player in the world for the promotion of urban environmental furniture.